If you live in the US ~ You can not sign the petition, will not accept your ZIP code! With Toshiba’s Westinghouse subsidiary filing for Chapter 11 bankruptcy, the US taxpayer could end up losing billions due to the Federal loan guarantees facilitated by a Republican Congress in 2005, and handed over by Obama, and the head of the US Dept of Energy, Ernst Moniz. Obama was apparently owned by the nuclear industry, especially Exelon, and the wife of Moniz has Japanese roots. Ratepayers have been, and will be, scammed, as well. The chance of losing the taxpayer money was known to be in the range of 40 to 50% based on history, but it’s not their money so they didn’t care. Reuters reported (30 May 2016) that “The German cabinet plans to approve a draft law on August 3 that will require its utilities to pay billions of euros into a state fund to help cover the cost of nuclear storage,…” Germany’s major nuclear power companies include E.ON, RWE, EnBW and Vattenfall. The law will be debated and voted in German parliament in November. Reuters reported (1 June 2016) that while this 23.3 billion euros ($26 billion) is to “remove unwanted long-term liability for the storage of nuclear waste. The responsibility for dismantling and storing nuclear waste in the interim will remain with the utility companies.” (Emphasis our own). 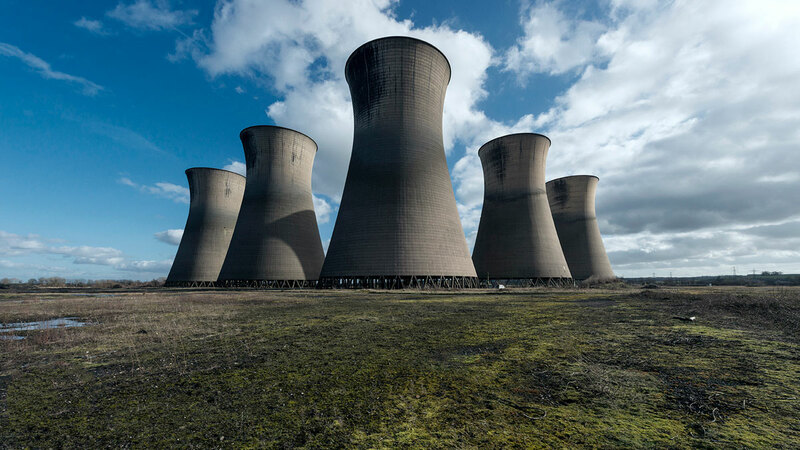 Speaking at a U.S. Department of Energy summit last week, Marvin Fertel, president and CEO of the Nuclear Energy Institute, said more than a dozen plants face possible early closure because they are uneconomic at today’s market wholesale power rates…….. While browsing on Google, the Earth Day web site kept forcibly opening. And, who is among the Earth Day sponsors? Woods Hole Research Center (WHRC) located in Woods Hole Massachusetts: http://www.earthday.org/earth-day/earth-day-2016-partners/ Wikipedia tells us that Woods Hole Research Center (WHRC) should not be confused with the nearby (and now infamous) Woods Hole Oceanographic Institute (WHOI). And as late as 2002 the founder of WHRC, George Woodell, raised concerns about the impacts of nuclear war on the environment, http://whrc.org/wp-content/uploads/2015/09/2002-04-TooSmallForWar.pdf , whereas WHOI appears to have been long been tied in with the military. However, the two have recently been joined together in a consortium: http://www.woodsholeconsortium.org/news/consortium.html They are also listed as a WHOI funder-partner. Belgium: Nuclear regulator there calls for global inspection of nuclear reactors, as 1000s of cracks found in pressure vessels of nuclear reactors – “This may be a global problem for the entire nuclear industry”. India: could develop thermonuclear weapons: it is secretly enriching uranium. South Africa: All sorts of secret manipulations going on there, in regard to its nuclear agreement with Russia – and that is by no means a done deal. Algeria concerned Al Qaida or ISIL could be smuggling uranium http://www.worldtribune.com/2015/01/18/algeria-concerned-al-qaida-isil-smuggling-uranium/ CAIRO— Algeria plans to establish a network to monitor the flow of nuclear material along its borders. Officials said the government has approved a plan to install equipment to inspect incoming goods for radiation. They said the equipment would be installed at border posts amid concern that Al Qaida or Islamic State of Iraq and Levant could be smuggling nuclear or radioactive material through Algeria to such states as Mali and Libya. They will be deployed at port and airport platforms for the monitoring of all product and equipment, which may introduce polluted materials and possibly may represent a radioactive source,” Algerian customs chief Mohammed Abdul Bouderbala said. With no plans, designated waste sits by farms Japan News, September 12, 2014 The Yomiuri Shimbun Most radioactive-contaminated materials being kept at temporary storage sites in Fukushima and nearby prefectures still have nowhere to go. In the Tohoku and Kanto regions, the 2011 crisis at the Fukushima No. 1 nuclear power plant has produced a massive amount of waste tainted with radioactive substances that were released into the air from the power plant. However, the central government is having difficulty finding locations to build final disposal sites, where the waste will be buried underground. At this stage, there are no clear prospects for construction plans anywhere in the regions. Regulators reject call for nuke plant shutdown By MICHAEL R. BLOOD, Associated Press September 10, 2014 LOS ANGELES (AP) — The Nuclear Regulatory Commission on Wednesday rejected a senior federal expert’s recommendation to shut down California’s last operating nuclear power plant until the agency can determine whether its twin reactors can withstand powerful shaking from nearby earthquake faults……..
Michael Peck, who for five years was Diablo Canyon’s lead NRC inspector, said in a confidential report disclosed by The Associated Press last month that no one knows whether the plant’s equipment can withstand strong shaking from those faults — the potential for which was realized decades after the facility was built. Russia to copy USA and get a nuclear pre-emptive strike policy? Russian General Seeks Nuclear First-Strike Option Against US NEWSMAX,, 04 Sep 2014 By Sean Piccoli A Russian defense minister wants his country’s official military doctrine rewritten to allow for a pre-emptive nuclear attack against the United States and NATO, the Russian-language news agency Interfax reports. Russian Army Gen. Yury Yakubov said the doctrine, last revised in 2010, should be updated to classify the United States and other NATO countries as the “main enemy” of Russia, Interfax reported on Wednesday.Yakubov, who is from the defense ministry’s inspector general’s office, also said it is time “to hash out the conditions under which Russia could carry out a pre-emptive strike with the Russian Strategic Rocket Forces,” according to a translation of the general’s remarks by the English-language Moscow Times. Feds Want Nuclear Waste Train, but Nowhere to Go, abc news, ATLANTA — Aug 31, 2014, By RAY HENRY Associated Press The U.S. government is looking for trains to haul radioactive waste from nuclear power plants to disposal sites. Too bad those trains have nowhere to go. Putting the cart before the horse, the U.S. Department of Energy recently asked companies for ideas on how the government should get the rail cars needed to haul 150-ton casks filled with used, radioactive nuclear fuel. They won’t be moving anytime soon. The latest government plans call for having an interim test storage site in 2021 and a long-term geologic depository in 2048. Once-In-A-Decade Typhoon Heads For Japan Nuclear Plant Earth Changes Media August 22, 2014 Tokyo (AFP) – A typhoon described as the “strongest in 10 years” closed in on Japan on Wednesday, on a path that will take it towards the precarious Fukushima nuclear power plant. Tokyo and surrounding areas were hit by violent winds and heavy rains in the early hours of Wednesday morning as Typhoon Wipha moved northeast off the coast of central Japan.